Do you need your brakes repaired in Belleville? If so, you should visit us at Belleville Dodge and allow our trusted professionals to install the proper brakes for you. We use OEM parts for your Chrysler, Dodge, Jeep or RAM vehicle, so if you need your brakes replaced we will have the perfect part for you. If you're noticing that your brakes aren't working like they did before, then it's definitely time to get them checked. At Belleville dodge we will give you a comprehensive brake inspection, examining everything from the brake pedal, hydraulic brake fluid, master cylinder, power brake booster, drum brakes, disc brakes, and electronic anti-lock brake sensors. Our technicians at Belleville Dodge know your brake system inside and out and we can perform a repair on any make or model. You can trust our team with repairing your vehicle's brakes. If you notice these or other symptoms that indicate your brakes might not be working properly, then simply bring your vehicle to us at Belleville Dodge and our certified technicians will be happy to assist you. We will start by thoroughly testing your brake system, and then either repair or replace your brakes. Belleville Dodge is the best place for brake repair in Belleville! It's not just our attention to detail, skilled technicians and state-of-the-art technology, we create a loyal customer base through our commitment to provide the highest level of customer service. 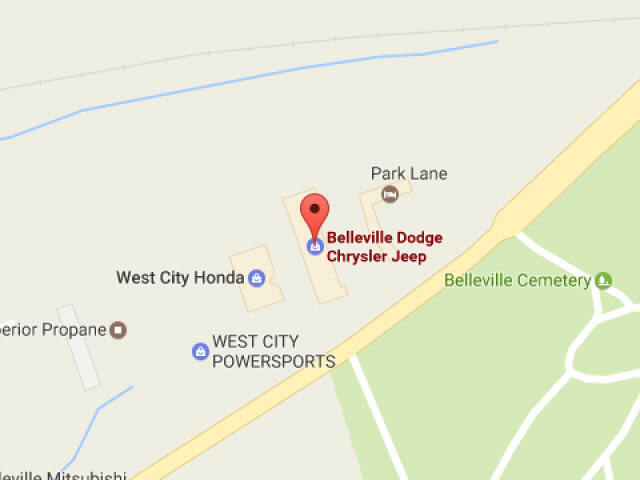 We provide a full-range of automotive services, so visit us at Belleville Dodge and we will take care of all of your auto needs! If you need to get your brakes repaired take them to the experts at Belleville Dodge. Our technicians will determine the best course of action for your braking system. They will either repair your existing brakes, or replace them altogether if needed. You can trust the specialists at Belleville Dodge to give your brake system the detailed care it needs. We extend our family values outside of our households and into our business. Values such as integrity, transparency, and respect. We respect your time and your dollar, which means we are on time, and we provide quick service at a fair and affordable rate. We truly care about our customers, and it shows. Come to visit us to get a If You Need a Brakes Repair in Belleville Visit us at Belleville Dodge and Enjoy Complimentary Services at Belleville Dodge; you'll want to come to our dealership for all of the services you require from here on out! We appreciate our customers, and we show that appreciation through our continued rotation of specials and promotions. We offer specials on things such as tires, parts, and brake repair. Why shop anywhere else when you can get the best prices on top quality products and services at Belleville Dodge?